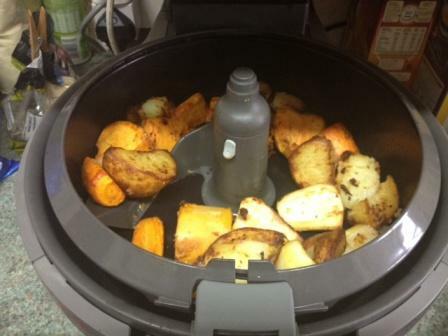 The picture here is of roast vegetables cooked in my Tefal Actifry. I've had one (well, 3 actually, but I'll tell you more about that) since they first came out around 2009. I read about it in the paper and went straight out and bought one! 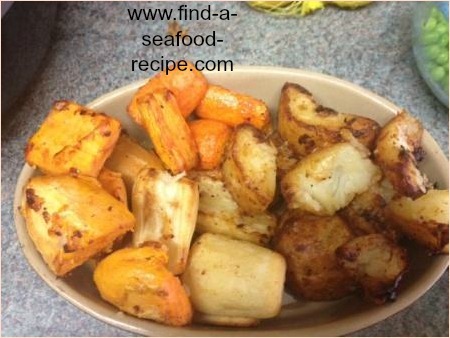 The photo sequence below shows you just how easy it is to cook a selection of juicy roast veg. 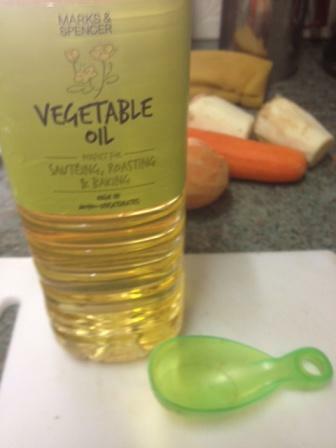 The health benefits are huge - just one tablespoon of oil is all that's needed and this amount of veg will serve three to four people. After you've seen that, I'll tell you why I've bought three! I lie, I've bought four - I've just bought another one as a house warming gift for my son. 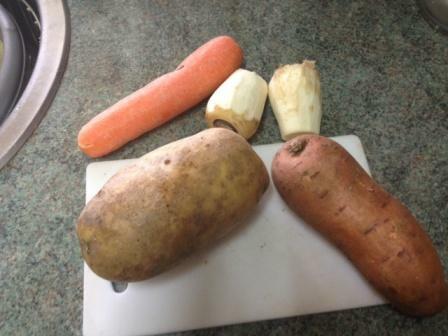 A selection of potato, sweet potato, carrot and parsnip ready to be prepared. 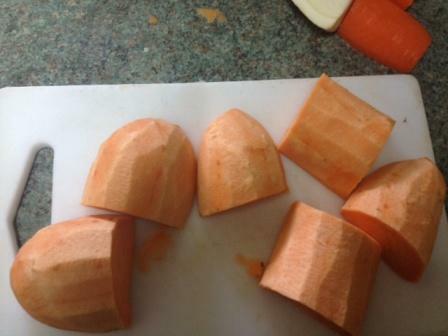 Cut them into even sized chunks, just as you would for roasting in the oven. One tablespoon of oil is all you need to start with. I put the potatoes in first and set the timer for 20 minutes. 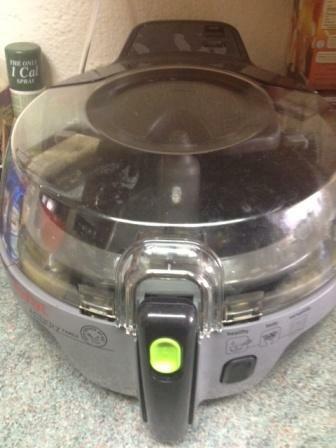 The glory of the Actifry is that you don't need to watch it and it doesn't stink your house out. 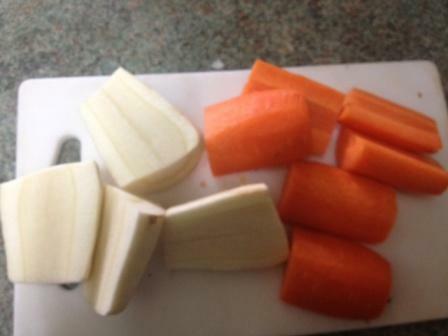 After 20 minutes, add the carrots. 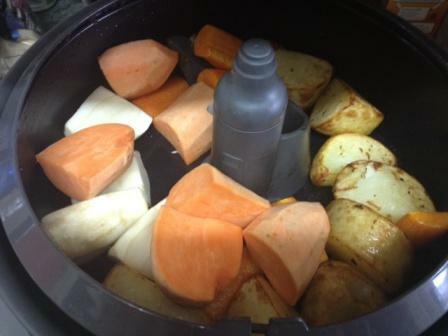 You can see that the potatoes are just beginning to brown. 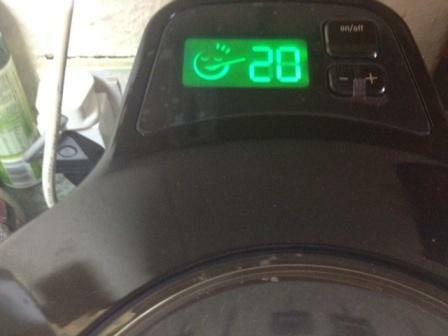 Set the timer for another 20 minutes, then everything should be cooked perfectly. OK - the reason I have bought three of them. The motor burned out - I think I had overloaded it or neglected to clean the spindle properly, but I heard this grinding noise, then smelled the engine burning and that was it - they died. I bought another (with the product breakdown insurance this time) as it is something I use very often. 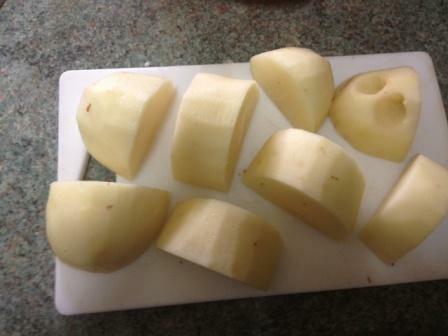 I love a bowl of fries with cheese melted over them - frozen take around 30 minutes and fresh potatoes 40 minutes. It sounds like a long time, but you can just leave it to get on with cooking while you do other things - that to me, is a good kitchen appliance. I've had my current one about two years - it's the larger family sized one. 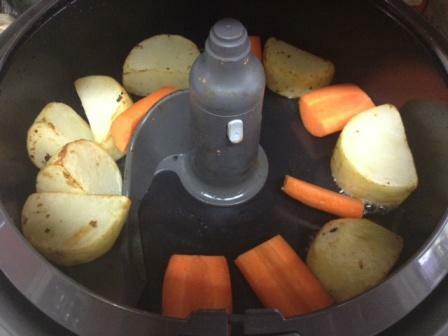 I'll be posting more Tefal Actifry Recipes, so check in again.